OPINION: What do cheaters do when they can’t win? Cheat of course. In a matter of days, Americans will participate in one of the most consequential elections of our lifetime – the 2018 midterms. But, thanks to some aging white men desperate enough to cheat so they hang on to their shrinking demographic dominance, not all Americans will be able to take part in the process. Voter suppression is rampant and it’s no coincidence that our voices and our rights are the ones being suppressed. All across the country, we’re seeing new plots to take away our ability to vote; an ability that was secured after immense sacrifice and the blood, sweat and tears of our ancestors. They fought tirelessly for us, and we are not about to let a power structure, fearful of demographic changes, silence us. It’s time to suppress the suppression. Back in 2013, the Supreme Court gutted the Voting Rights Act of 1965 by striking down Section 4, which required that states with a history of racism to get pre-clearance from the federal government before making any changes to their voting procedures. This evil maneuver from the nation’s highest court opened up the floodgates. Since the VRA was gutted, dozens of states have made all kinds of changes to their election regulations, including things like enacting strict voter ID laws, eliminating early voting days, closing polling centers in Black neighborhoods and more. What we’re witnessing now in 2018 is just a continuation and a doubling down of these voter suppression tactics, which is really the suppression of democracy. The fact that 70 percent of those folks are Black is no coincidence. Kemp, who is basically overseeing his own election, is using Georgia’s “exact match” policies that were passed last year, which require registration paperwork to be identical to what the Department of Driver Services or Social Security Administration offices have on file. Who is more likely to have a complex name where there could easily be some sort of mistake? You guessed it, people of color. The good news is U.S. District Judge Leigh May just ordered Kemp’s office to stop rejecting absentee ballots and applications when voter’s signatures don’t match up. Now, they’ve got to give voters the chance to address and then fix this problem before throwing out their vote, otherwise it’s a clear violation of a person’s constitutional rights. Voters from five counties have also gone to the Georgia NAACP with complaints about early voting. One woman said she tried three times before her ballot was properly marked to reflect her vote for Abrams instead of an “X” by Kemp’s name. The excuse: it’s a calibration issue that happens with older machines. It’s like when we take one step forward, we’re being pushed three steps backwards. Over in North Dakota, Native American voters tend to vote Democratic, and back in 2012, they pushed Heidi Heitkamp over the edge by fewer than 3,000 votes when she beat her Republican opponent for a Senate seat. With around 46,000 Native Americans in the state, what did Republicans do in the years that followed? Make it harder for them to vote of course. North Dakota passed strict voter ID laws (which were upheld by the Supreme Court), that require voters to show ID with a current street address. Most Native American reservations don’t have physical street addresses and often utilize P.O. boxes, which are, unsurprisingly, not acceptable under this new law. In North Carolina, a new law passed by the Republican-controlled legislature will result in about 20 percent fewer places to cast early votes. Once again, these changes disproportionately impact Black voters. During the 2016 election, at least 60 percent of voters in the state cast an early ballot. 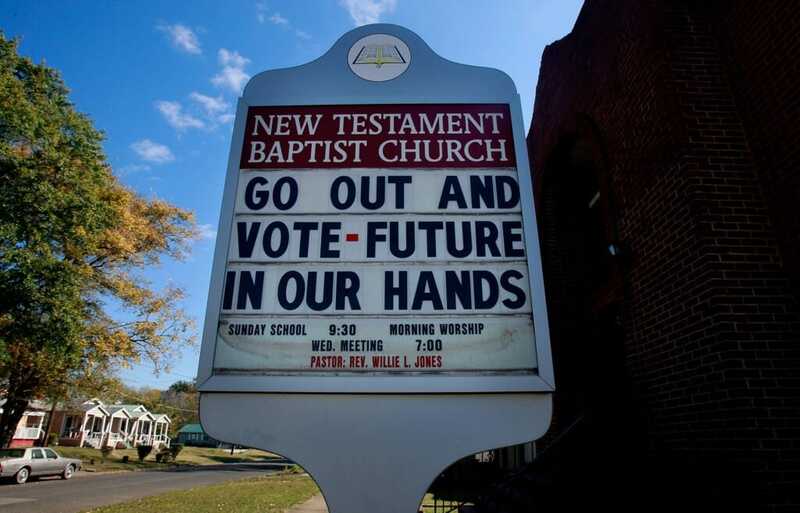 As Harold Pollack, a professor at the University of Chicago, recently highlighted, North Carolina’s stated reason for shutting down Sunday voting was that counties with heavy Sunday voting were predominantly Black and that these Black voters tended to be Democrats. They’re not even trying to hide it. 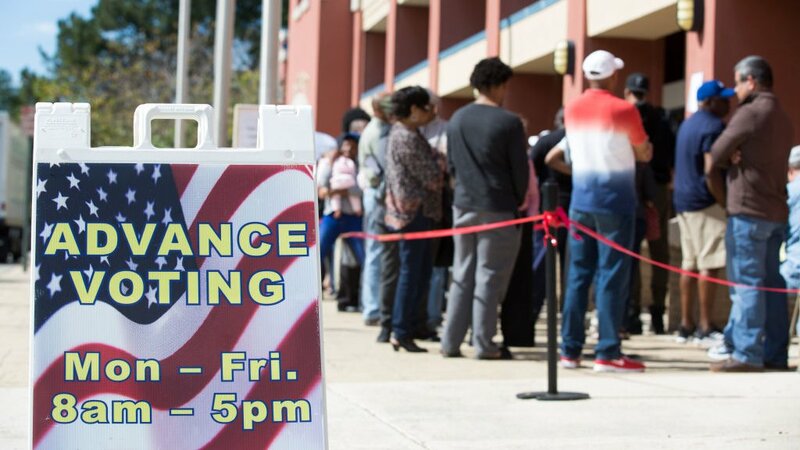 These are just a few of the most glaring examples, but in states around the country, there are mechanisms in place to keep people from exercising their fundamental basic right to vote. Increasingly, these measures are backed up by the courts – including the highest court in the land – and now with a Justice Brett Kavanaugh on the bench, we can expect more of the same. Nov. 6th is almost here and the midterms will simply boil down to who shows up. Historically, young people and people of color tend to have a lower turnout and the plethora of tactics designed to suppress and hinder us from the ballot are only going to make things worse. It’s important to understand not only what is at stake, but also how you can push back against these efforts that are designed to keep the old guard in place. If you show up to vote and someone says your name doesn’t appear in the register or turns you away, you can demand a provisional ballot. However, a provisional ballot will only be counted if you show proper ID to local elections officials by a set deadline after election day. You should also ask for a receipt to see if your vote was counted. There are some other stipulations depending on your state, so the bottom line is: do your research and don’t let people intimidate you or discourage you. Voter suppression is real and we must do everything in our power to push back. White people who are fearful of a changing [majority minority] societies are desperately trying to hold on to old, racist structures and devise new ways to box people of color out. If you wake up on Election Day and think, ‘I’m just one person, will it really matter?’ just remember how hard people are working to ensure you can’t vote. This is more than just a little important.